Ah, November is upon us. Baseball season is over (Congrats Cubs). Football season is heating up (Go Packers, Badgers, and ‘Noles). It’s time to vote (Get out there America). Thanksgiving is just around the corner (Gobble gobble). Christmas is right behind it (have you seen the stores). And November also means one other thing to me: It’s time to run races. A whole lot of races. Ever since I first started distance running, I’ve always done a race during November. Typically around Thanksgiving. After all Turkey Day is the most popular race day of the year (July 4th is the runner up). You can read about that here. I guess a whole lot of people want to earn their turkey. But for me, the entire month of November seems to have become my default “run central.” In 2014 I ran three half marathons in under 33 hours. And last year I ran another trio of races during November (with an additional race the last week of October and another the first week of December). In 2016 I seem to be continuing this plentiful pavement pounding pastime. While I did not run a race this weekend (would have love to been doing the NY Marathon if I could just get chosen in the lottery), the next 5 weeks are spoken for. Now I know a pair of those races are in December (and I’m still not 100% committed to the Santa Monica race), but if stores can have Christmas decorations up at 12:01 am November 1st, then I don’t feel too bad about considering early December to be an extension of November. Fair ’nuff? Appreciate really bad puns… and Run on! Is there one month you tend to run more races than others? Let me know. Posted on November 7, 2016, in General and tagged Atlanta Half Marathon, Lexus LaceUp Palos Verdes, Lexus LaceUp Riverside, Marietta Gobble Jog, Revel Canyon City, Thanksgiving. Bookmark the permalink. 4 Comments. Yep, it’s certainly that time of year. October is great also (Long Beach and San Dimas Spooktacular). My November consists of the Big Sur Half on Monterey Bay (my favorite race ever), and my first 50K, Chino Hills on the 19th. Hey Chris… October is another good month. In looking at years past for me, I tend to do plenty more races in the fall. This year 9 of my 13 races will be from Sep.-Dec. Of course I do like the cooler temps for races. Also, since the LA Marathon is in March I tend not to do as many races early in the year because I’m training harder. You’ll have to tell me how the Big Sur Half goes (I do want to do that race) and of course I want a recap on your upcoming first 50K. Big Sur Half was outstanding. The weather was clear and 55 degrees at the start, slight breeze. The course is rarely flat, but no major hills either. Just consistently “rolling.” I logged a 1:52:53 time, which is in my top five, and the wife PRed with a 2:34:41 when she was only hoping to break 3:00. Weekend in Monterey is always fabulous, and even got to meet a couple elites — Caroline Rotich and Jared Ward — at the expo. Now on to the 50K this Saturday! 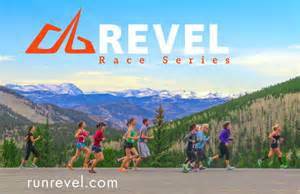 And also, I know you’ll be proud of me, just took advantage of the early pricing for Revel Canyon City 2017. Very cool to hear about the Big Sur Half and congrats on your time. It is a race I do need to run one of these years (I hear nothing but good stuff about it). And very cool that you’ll be doing REVEL CC next year. I look forward to pounding some pavement with you. And have a great run this weekend on your 50K. I’ll think of you when I hit the 10K (and finish line) at Palos Verdes.